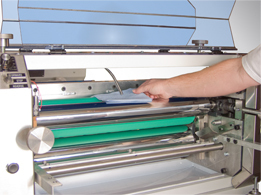 International Services Group provides the highest quality OEM and custom UV coating machines, feeder, stackers, to the printing industry. Designed and built in the USA. Built to industrial standards allow our customers to produce high volume product on a full time basis without the constant worry of a breakdown. Easy access to fill the coating container with hinged lid to mix the coating prior to use. Industrial pump for constant flow of chemistry. Bearing protection is provided by using Nylon End Dams from UV chemistry. Reduces bearing wear and maintenance. 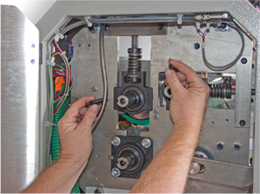 Industrial bearings and spring loaded application and metering rollers reduces roller wear and gives the operator full pressure controls for fine tuning the coating application. 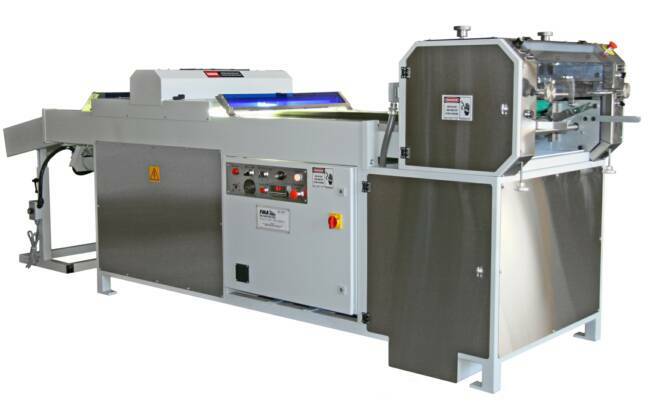 Optional "Thin Strip Removal System" is available for coating Text wgt stocks as low as 80 lbs. Easy access for personel to clean rollers at the end of the day.